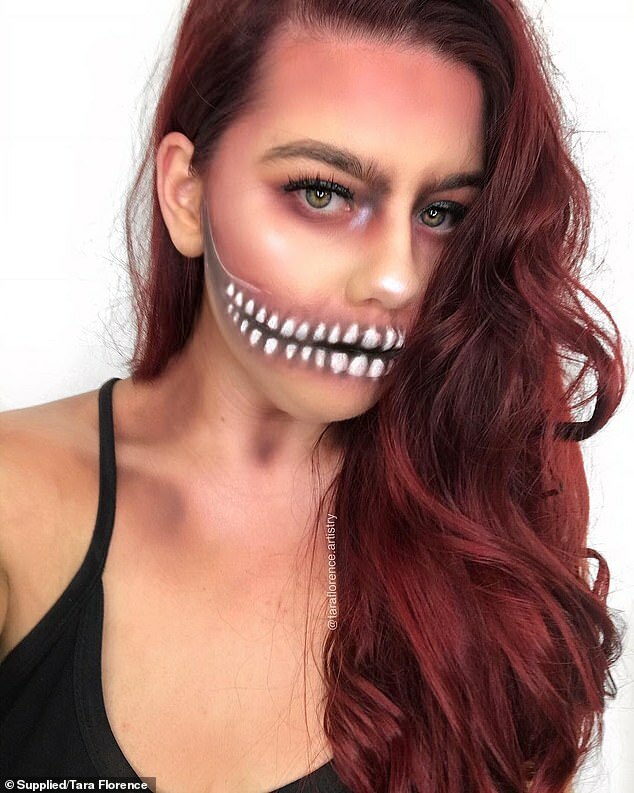 A lot can change in 10 years and one woman has revealed how her makeup skills have managed to completely transform. 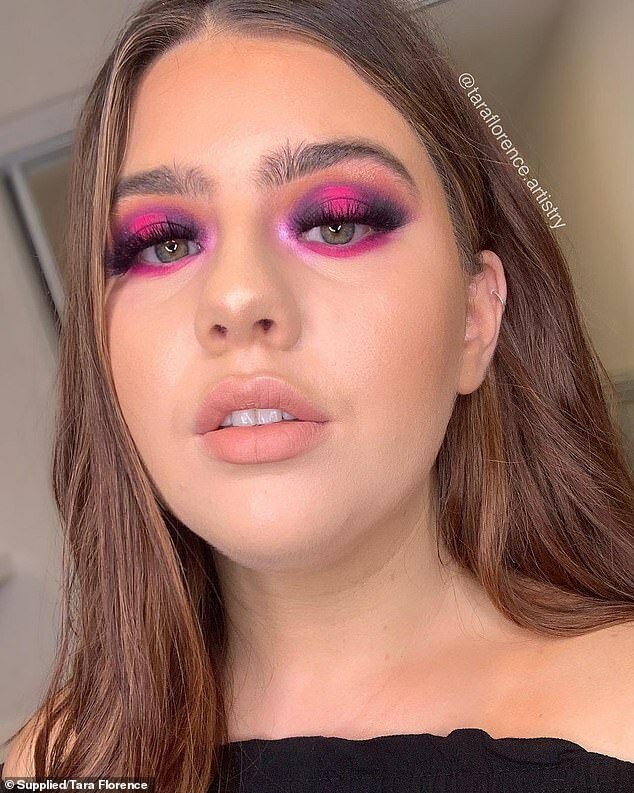 Tara Florence, a 24-year-old makeup artist who lives between Canberra and Melbourne, uploaded a photo collage comparing her skills from 2009 to 2019. The photos show a shy and awkward 14 year old who is yet to start experimenting and someone who blossomed into a skilled expert. Now, she has revealed how others can follow in her footsteps and shared her top makeup tips. Tara said one of her favourite tricks is lashes, which will be one of the first things she’ll apply. She’ll start with the base, then brows and then measure the lashes. ‘People get so confused and ask why. 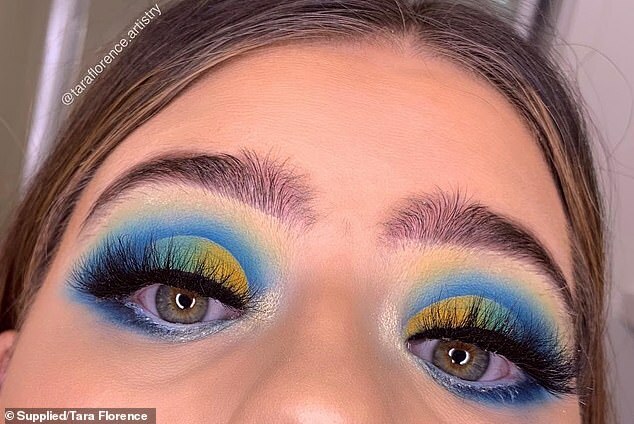 The reason is if you measure them and then whack on a substantial amount of glue, by the time you’re ready to apply them the glue has set a little bit and allows you to place the lashes exactly where you want them without them slipping and sliding around the eye,’ Tara said. ‘I always say applying the glue at the start allows it to get tacky, which makes it a foolproof way of applying. ‘And lord do we all know the struggle of applying lashes in a rush!’. 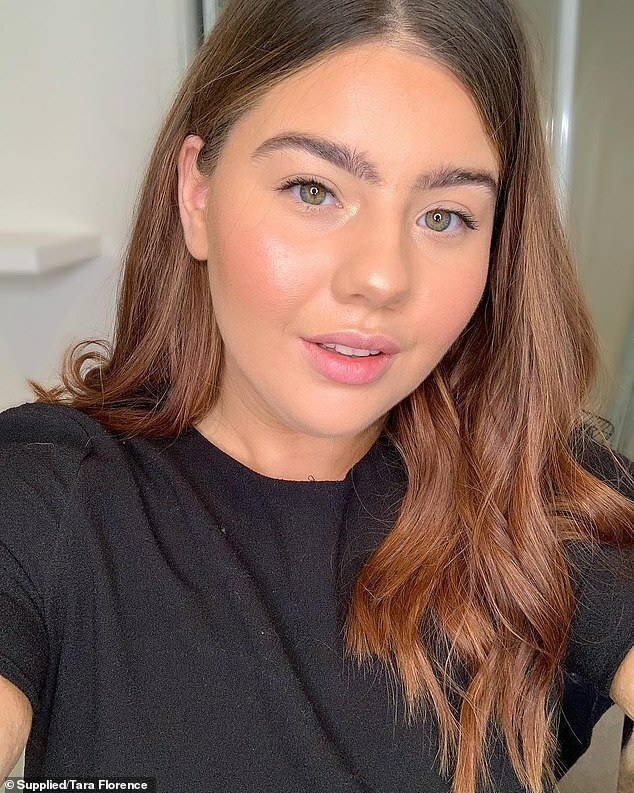 For those who have been battling with persistent acne and pimples Tara has revealed how she has managed to expertly cover them up. ‘I find less is more, the more products you apply to a problem area the more prominent you are going to make it,’ she said. The full time makeup artist said it is important that no one picks their blemishes as makeup won’t stick to fresh skin. ‘Next colour correction is key, this is going to mean you don’t need to apply as much concealer or foundation,’ she said. Although texture will be seen, Tara said there is nothing wrong with that and everyone’s skin should be embraced for what it is. When it comes to ensuring your makeup lasts all day and all night, Tara said setting sprays are the obvious solution. ‘Find a good one and stick with it. My favourite is Urban Decay’s All Nighter. I’ve had clients get their makeup done on a Friday for a birthday and then message me the next day and wear the same makeup to a concert,’ she said. ‘Although it’s flattering it also makes me cringe because I just think of the skin! But it just shows the lasting power. 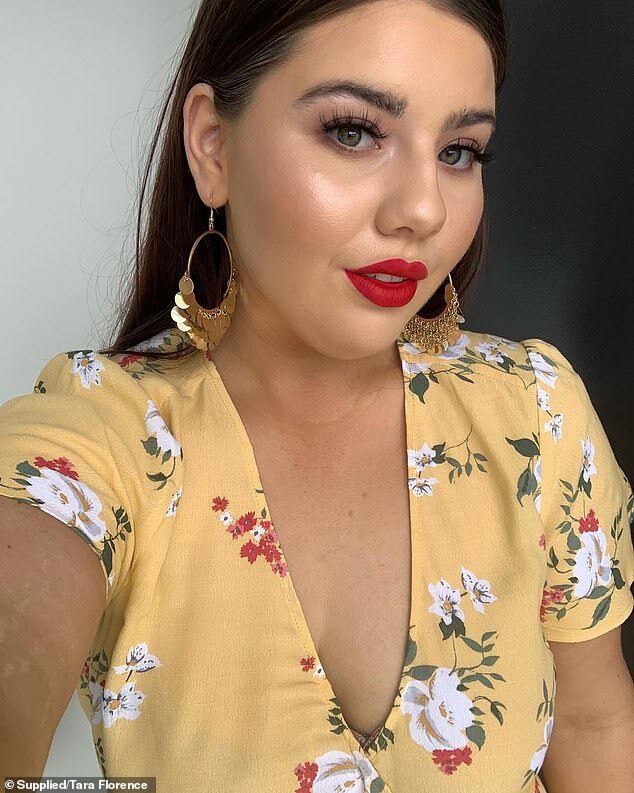 Tara revealed that she personally doesn’t like using primers as she finds using a good moisturiser adds to the longevity of the makeup while keeping it looking beautiful. She also makes use of both a brush and a beauty blender when applying product to her or her client’s face. 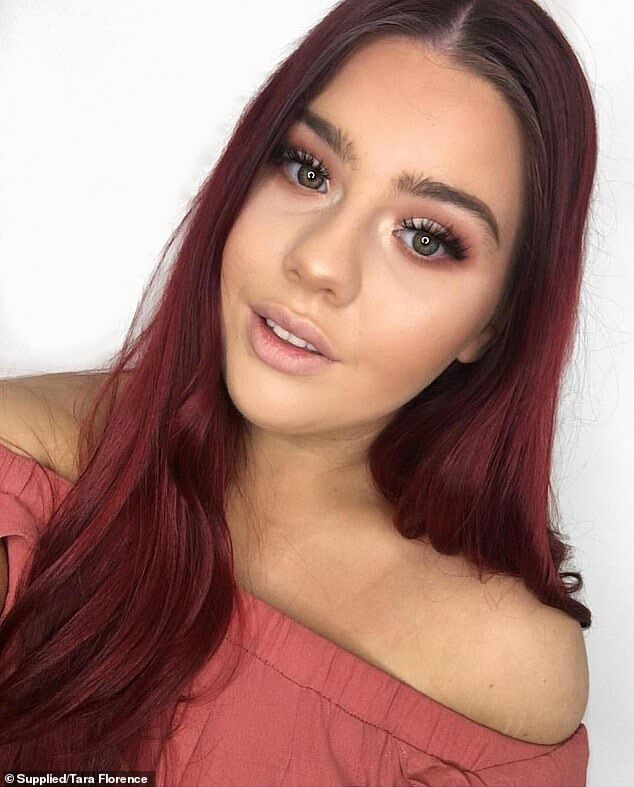 ‘Applying makeup with a brush is going to build the product up, then pouncing a beauty blender is going to blend the foundation into the skin while making sure it still looks like skin, and then setting with powder,’ the 24-year-old said. 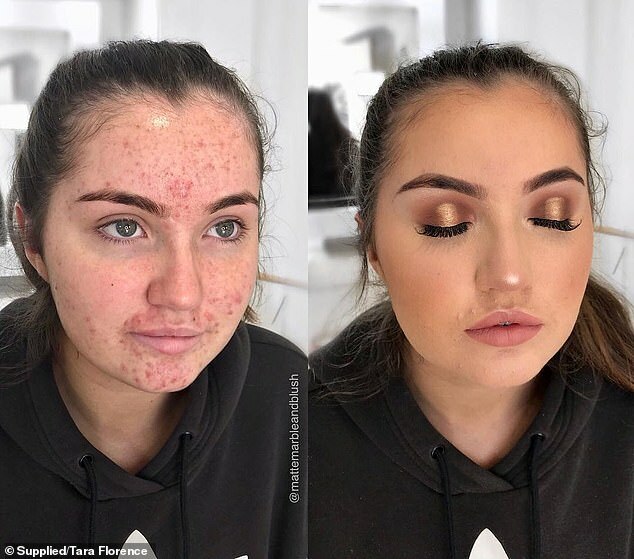 Applying makeup with a brush is going to build the product up, then pouncing a beauty blender is going to blend the foundation into the skin. 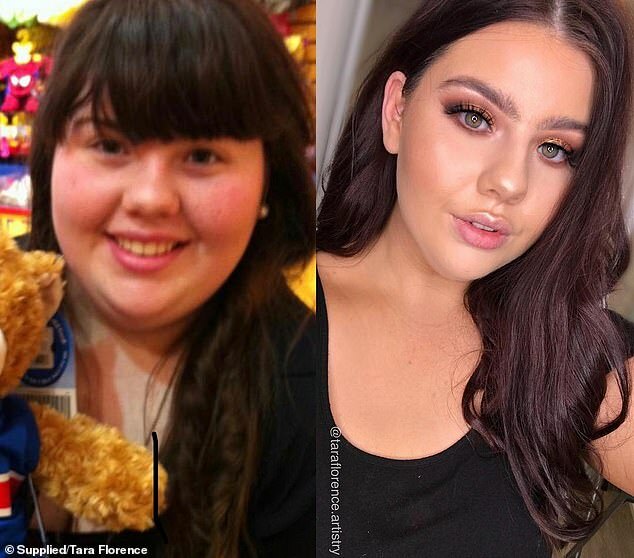 Tara decided to participate in the 10 year challenge, which is a current social media challenge in which people compare two photos of themselves 10 years apart, because she found it ‘therapeutic’. She said this was spurred on by the fact that in this day and age the people tend to get caught up in their lives they don’t realise how far they’ve actually come. ‘We are constantly looking for the better, pushing ourselves harder or convincing ourselves that we haven’t worked hard enough to the point that we don’t enjoy the small little wins or moments of success when they occur,’ she said. ‘In my industry where perfection in your work is necessary you often get stuck in mind set of “nothing is good enough” and that is damaging. Tara said 10 years ago her makeup skills were practically non-existent and started applying makeup on herself when she was 14 as a confidence boost. At 14 she loved how it made her feel as this is the age she was feeling the most vulnerable. 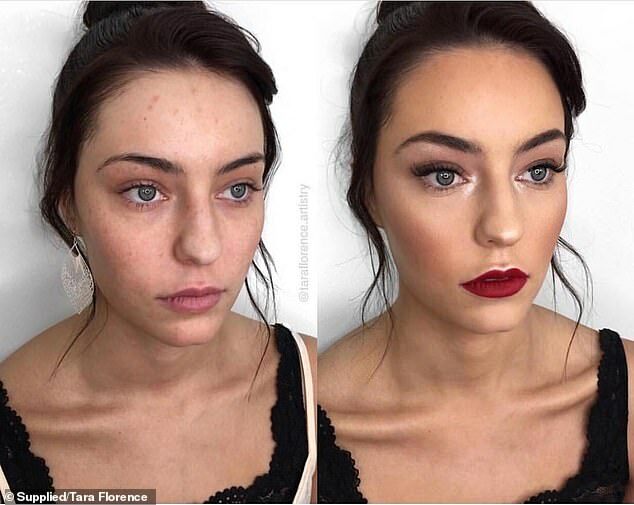 She thought that if she focused on the art of makeup instead of focusing on nasty comments she was receiving from her peers she’d be a happier person, which Tara said worked. ‘I didn’t take notice of what people said as I just focused on the next trend I could try!’ she said. 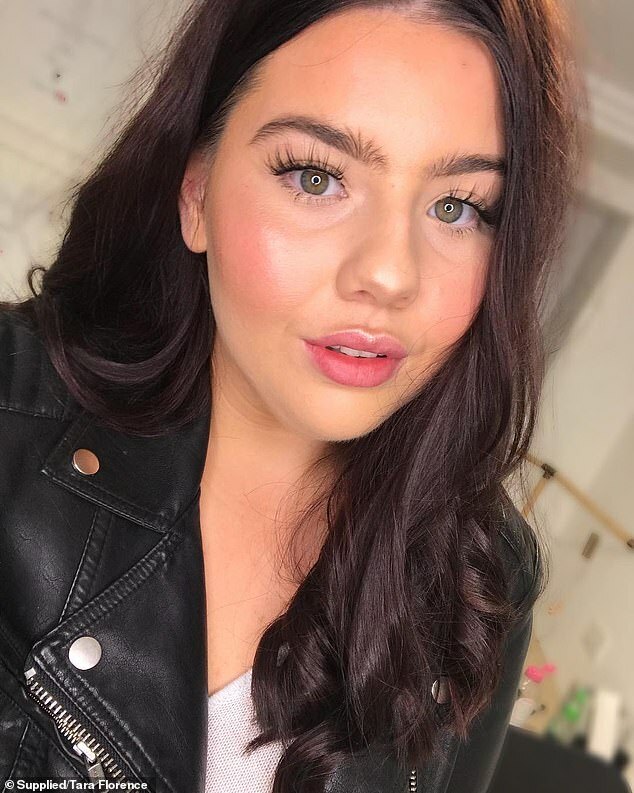 Her makeup skills have changed dramatically over the years and aside from the natural progression of practicing her makeup every day she also learnt new tips and tricks. 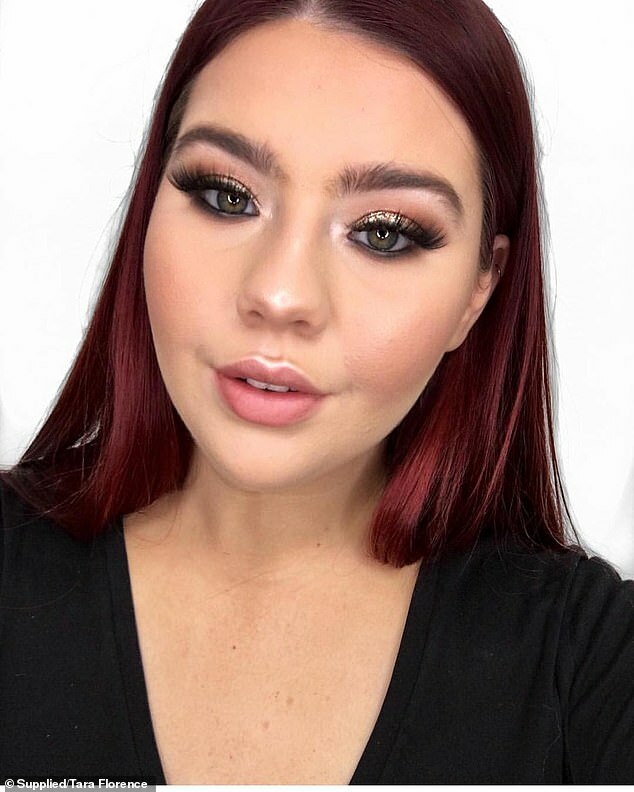 This was what led her to studying a diploma in makeup services when she was 19 which was a stepping stone to where she is today. ‘I think it’s important to remember practice makes perfect. 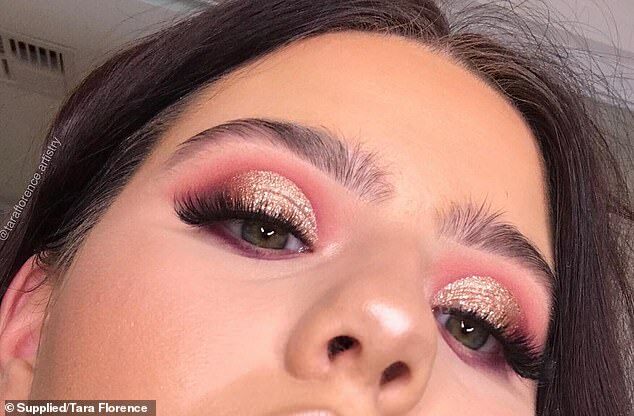 No one just woke up one day and could cut the perfect crease, blend colourful eye shadows into each other perfectly or contour like a Kardashian.